Maui Nui Golf Club Hole 4: This long par four is a dogleg right and the drive must stay between the bunker left and the hillside right to offer a good chance at this uphill green with a large fronting bunker. 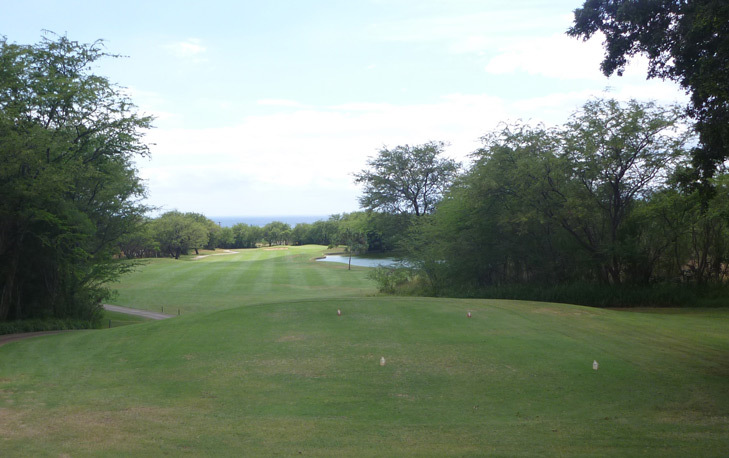 Maui Nui Golf Club Hole 6: The third difficult par four in a row is also the most challenging. With a lake left and OB right, the drive must be played long into the prevailing wind. From there a mid or long iron will be required to hit the green that, once again, is fronted by a large bunker. 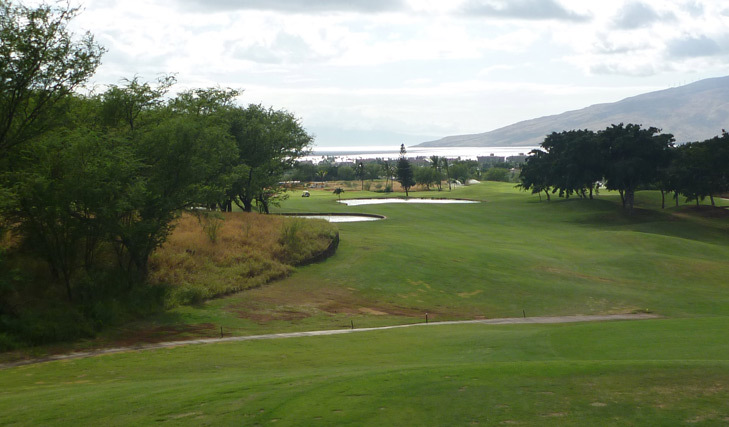 Maui Nui Golf Club Hole 15: The downhill tee shot must avoid the lake to the left that can be flown in low wind. However, if that is chosen, the player must also be careful not to go too long into the far lake. That lake then can come into play on the second shot into the prevailing wind.